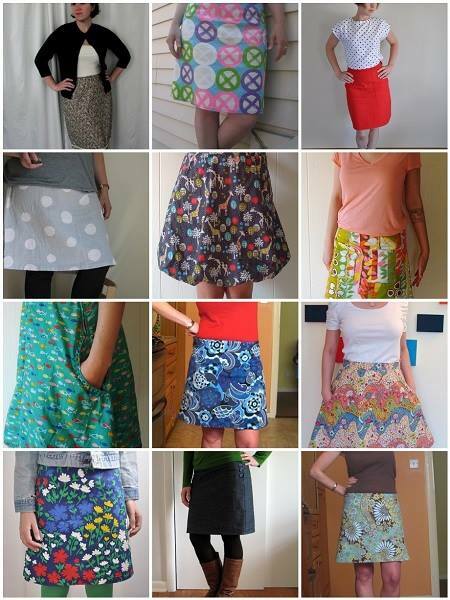 Make a skirt in one day! In this six-hour class, Cal will show you how to cut from a pattern and sew a classic, flattering A-line skirt. You will learn how to sew darts, seams and seam finishes, hems, invisible zippers and bias-tape facings, all of the elements you need to begin making your own clothes. The pattern will be provided. Students should be at least "advanced beginner" level, and must have a basic knowledge of how to use the sewing machine before taking this class. 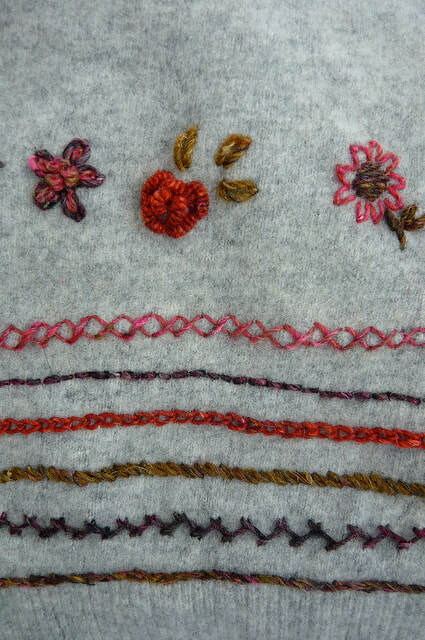 Adding a touch of embroidery can turn nearly any plain thing into an heirloom. You can stitch on clothes, home goods, accessories and other textiles you’ve made yourself, or bought pre-made. By embellishing on these items, you can make gifts more personal, commemorate events, hide mending or stains, or just give a tired old item a new life. We will learn 12 different classic embroidery stitches and experiment on a free-form sampler, or a project of your choice. Once you know how, you’ll want to add a touch of stitched decoration to everything you own, make or give. Visit CLASS DESCRIPTIONS & PRICING for more information.